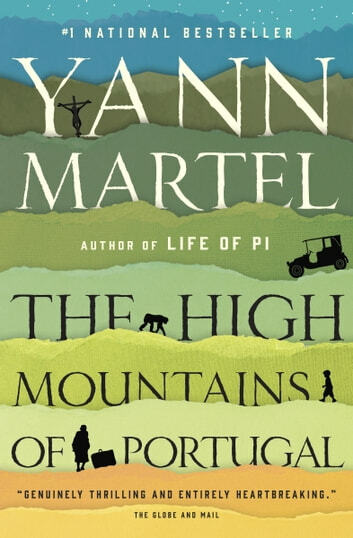 The High Mountains of Portugal is a suspenseful, mesmerizing story of a great quest for meaning, told in three intersecting narratives touching the lives of three different people and their families, and taking us on an extraordinary journey through the last century. We begin in the early 1900s, when Tomás discovers an ancient journal and sets out from Lisbon in one of the very first motor cars in Portugal in search of the strange treasure the journal describes. Thirty-five years later, a pathologist devoted to the novels of Agatha Christie, whose wife has possibly been murdered, finds himself drawn into the consequences of Tomás's quest. Fifty years later, Senator Peter Tovy of Ottawa, grieving the death of his own beloved wife, rescues a chimpanzee from an Oklahoma research facility and takes it to live with him in his ancestral village in northern Portugal, where the strands of all three stories miraculously mesh together. Beautiful, witty and engaging, Yann Martel's new novel offers us the same tender exploration of the impact and significance of great love and great loss, belief and unbelief, that has marked all his brilliant, unexpected novels. In his new novel, Yann Martel returns to magic realism in three interwoven stories about lost love and the journeys taken to reclaim the past. In order to move forward, Tomas must struggle with a car he does not know how to drive, Dr. Lozora must perform an unconventional autopsy, and Peter must learn to live with a chimpanzee. While I enjoyed the sense of inevitability created by the repeating characters, emotions, and locations, Martel is often heavy-handed with his metaphors and religious pondering (although I loved the comparison of Jesus’s life to an Agatha Christie murder mystery). The captivating elements of this novel – the gentle magic realism, the eccentric ways of coping with grief, the unknown connection between the characters – are sometimes weighed down in heavy prose, but I have not been able to stop thinking about this book since I finished it. I really enjoyed this novel. It reads quietly, gently, beautifully, and with just the right amount of magic. I didn't feel that the ending adequately ties up the strange story line. I was left with more than a little confusion. The book has some portions which were interesting and which could have evolved into a memorable story. Rather a waste of time , as a novel . Enjoyed very much Life of Pi, but this one should stay on the bookshelf. Lovely use of the English language in "The High Mountains" but does not compensate for the futility of the plot. Although the novel starts off a little slowly as Tomas begins his journey to the high mountains of Portugal following the diary of Father Uisses that he found among documents at the National Museum of Ancient Art where he works. The story really picks up once he leaves Lisbon and draws you into his adventures as he searches for an artifact, who’s location is only hinted at in the diary. Events at the end of his journey tie into the story's second and third sections in a most unique way. By the end it was increasingly difficult to put the book down. 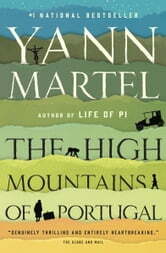 Another fine novel from Yann Martel.